Dr. Erickson-Greco graduated from the University of Minnesota College of Veterinary Medicine in 1992, with top honors of being valedictorian of her graduating class. She practiced general medicine and surgery for dogs, cats, and horses until 1997, then began dedicating her practice to acupuncture and animal chiropractic. She is certified by the International Veterinary Acupuncture Society, the American Veterinary Chiropractic Association, and has over 600 hours of continuing education in advanced acupuncture, applied kinesiology, chiropractic, gold bead implant techniques, Traditional Chinese herbal medicine and Western herbal medicine, and Regenerative Stem Cell Therapy. 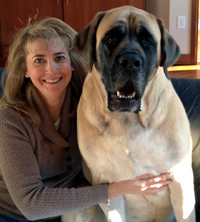 Dr. Erickson-Greco has owned and managed Animal Health Practice since 1998. In 2002, she started a second veterinary practice, Equine Health Practice, which is dedicated strictly to the treatment of horses with acupuncture, animal chiropractic, and herbal medicine. She splits her time between these two very busy holistic practices. One of her special clinical interests is working with performance dogs to optimize performance using animal chiropractic, acupuncture, and herbal medicine. She enjoys working with agility, flyball, and conformation dogs of all levels, from novices to champions in their respective fields. Her personal interests include golf, knitting and spending time in her vegetable garden.